Over the past weekend, the Amsterdam Football Association hosted an awareness campaign in the fight against forest and veld fires in Amsterdam. The aim of this gathering was to get the community together and inform them about the dangers of a fire, especially during the winter months. They were educated on various precautionary measures to take into consideration when starting a fire and also what to do when a fire unexpectedly breaks out. The crowd was addressed on issues such as the fact that the country’s economy collapses when timber plantations are set alight and they were provided with various contact numbers for the Fire Brigade. 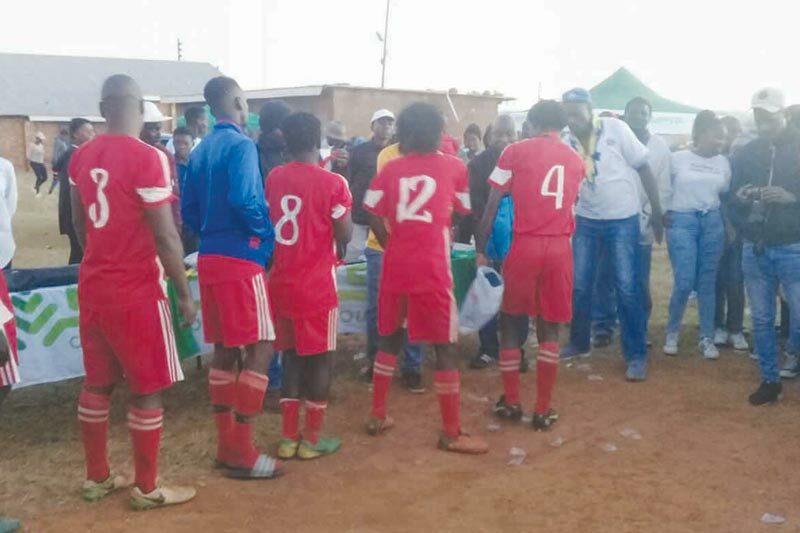 Sixteen teams from Amsterdam and surrounding areas such as Stafford, Thokozani, Westoe, Ka Debbie, Ema- Swazini and Redcliff, featured in the soccer tournament that already started the previous weekend and escalated to the semifinals and the final at the KwaThandeka Stadium. The tournament was well attended with over 1 000 enthusiastic supporters and the Amsterdam Football Association would like to thank their sponsors of the day, Safcol and Tekwani, for their continuous support. They are also looking forward to a long and fruitful partnership with these two companies. Congratulations to the winners of the tournament: Redcliff Arsenal FC beat Amsterdam Barcelona FC 5-3 on penalties. 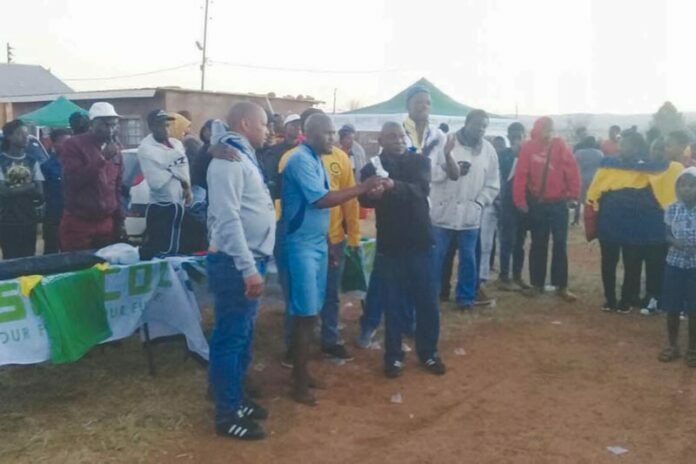 Redcliff Arsenal was announced as the winners of the tournament and received a R3 000 cash prize, a soccer kit, 20 gold medals and a floating trophy – well done! Amsterdam Barcelona finished in second place and was awarded with a R1 500 cash prize and 20 silver medals while Hunters FC was positioned in third place and received a R500 cash prize. Mr Bongani Dlamini, Amsterdam Football Association’s acting chairperson thanked the players as well as all the loyal supporters. It was also mentioned that the Secretary, Mr Mgazi, can be contacted on 079 913 2989 regarding netball teams that might be interested in playing various leagues as well as football clubs that want to join the league. Dit is tyd vir veldbrande!